Exclusive set of high quality matching trolleys for a multitude of uses. 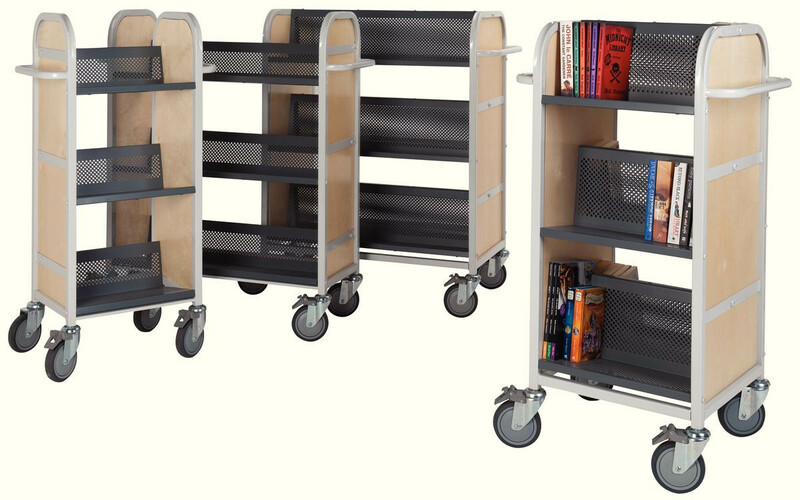 Our exclusive range of Henshaw Trolleys will ensure transporting books is quick and easy, while also adding a modern touch to your library. 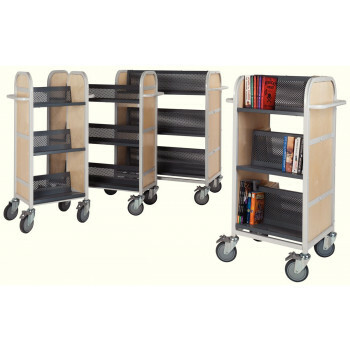 Four designs are available in the range, all in matching colours, meaning whatever your book transporting requirement might be there is a Henshaw trolley to suit. Shelf dimensions: Single-sided H150 x W240mm, Double-sided H210 x W190mm. 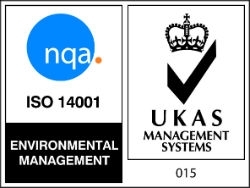 Other colours available to special order, subject to minimum order quantities. Please call Customer Services for details.